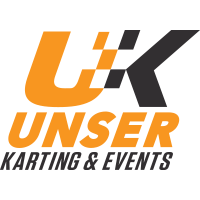 The minor’s PARENT must complete and digitally sign an online electronic Minor Waiver form, accessible at http://www.unserkarting.com. The minor must present a completed Minor Waiver Form that was signed in advance by a PARENT and NOTARIZED by a registered Notary Public. If the form is not duly notarized, the Minor will not participate; there are no exceptions to this rule. The minor must submit a completed Minor Waiver Form in one of the above forms at the front desk at Unser Karting & Events at the time of race purchase in order to participate in kart racing. Thank you for your compliance with our waiver process; we pride ourselves on creating a safe racing environment. 8. AGREE that, by participating in events or the utilization of facilities of OPERATOR, I, on behalf of the PARTICIPANT, acknowledge that both the PARTICIPANT and I are cognizant of all the inherent dangers of driving vehicles offered to us as well as the basic safety rules for driving such vehicles, and if not, I will advise OPERATOR and request further assistance so that I may fully understand them. I agree that the PARTICIPANT will not participate in any events or utilize the facilities if I am under the influence of drugs or alcohol, if the PARTICANT is pregnant, or if there is any other physical condition that may impair the PARTICIPANT’s ability to understand instructions or to participate without creating risk to others or him/herself. I HAVE READ THIS AGREEMENT. I UNDERSTAND THAT, BY ENTERING INTO THIS AGREEMENT, I SURRENDER VALUABLE RIGHTS; I DO SO FREELY AND VOLUNTARILY. I FURTHER CERTIFY THAT I AM THE PARENT OR LEGAL GUARDIAN OF THE PARTICIPANT, THAT I AM OF LAWFUL AGE AND LEGALLY COMPETENT TO SIGN THIS AGREEMENT, THAT I UNDERSTAND THAT THE TERMS HEREIN ARE CONTRACTUAL AND NOT A MERE RECITAL, AND THAT I HAVE SIGNED THIS AGREEMENT AS MY OWN FREE ACT. IF I HAVE ANY DOUBTS CONCERNING THE CONTENTS OF THIS AGREEMENT, I WILL CONSULT AN ATTORNEY BEFORE SIGNING IT.